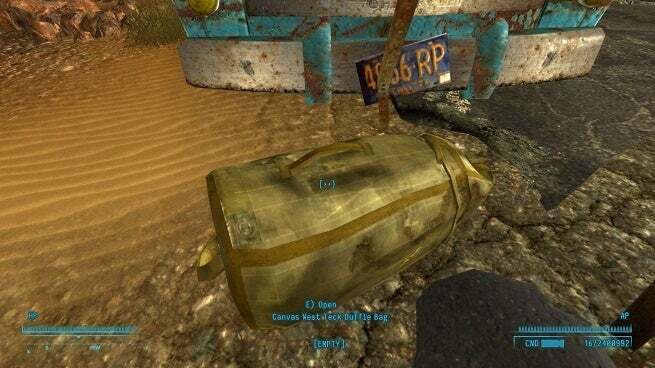 Fallout 76’s duffel bag included in the game’s Power Armor Edition wasn’t what buyers were expecting when they received it, but they can at least get the bag in Fallout 4 and Fallout: New Vegas thanks to the quick work of mod creators. 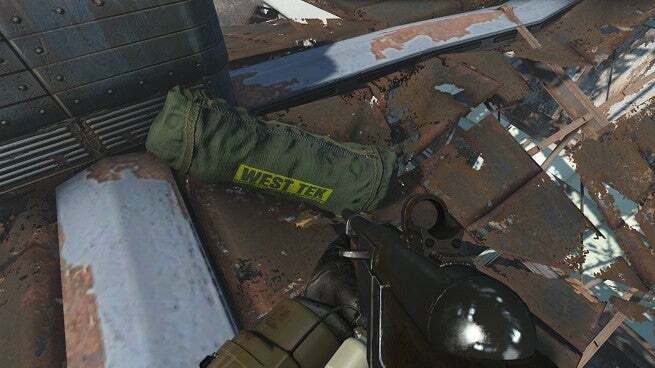 Following accusations of false advertising levied against Bethesda by players who received a nylon West Tek Duffel Bag as opposed to the canvas product promised in the Power Armor Edition’s advertisements, modders worked swiftly to give the bag to Fallout players in some form by inserting it into past Fallout games. One of those mods puts the bag in Fallout 4 and was created by a modder who said they added a bag that was actually made of canvas before cheekily adding “That’ll be 500 Atoms please,” a reference to Bethesda’s apology gift of 500 Atoms. These Atoms act as Fallout 76’s form of in-game currency, but 500 Atoms will only get players so much in the game’s marketplace. Seen below, the mod retextures the Ammo Duffel Bag to look like the one promised in Bethesda’s marketing for the Power Armor Edition. The Fallout 4 mod creator asked “Am I making a statement?” before leaving it up to those downloading the mod whether they were indeed making a statement or not, but the creator of the Fallout: New Vegas mod that does the same thing in Obsidian’s Fallout game was a bit more blunt with their mod description. “Bait ‘n switch” is a term that’s come up in conversations within the community as they discussed the canvas bag debacle since Power Armor Edition buyers were never notified that the bag’s material had been changed, and it came up again in this mod’s description. The mods for Fallout 4 and Fallout: New Vegas are available to download for anyone wanting to add them to their mod list.